June 12, 2008 - Wrigley Field, Chicago. 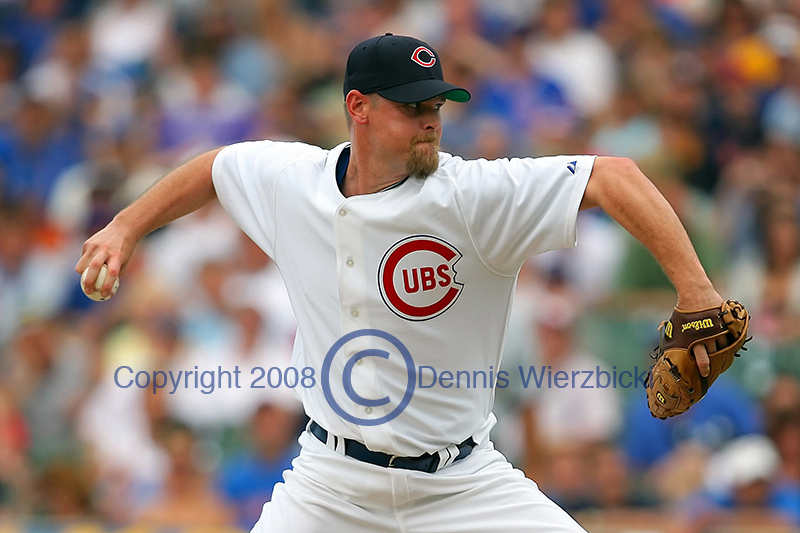 Chicago Cubs pitcher Kerry Wood delivers a pitch in the 10th inning of a "throwback" game against the Atlanta Braves, won by the Cubs 3-2 in 11 innings. The Cubs and Braves both wore replica jerseys from 1948 to commemorate the 60th anniversary of the first Cubs game broadcast on TV by WGN. The first 2 innings of this game were televised in Black and White, with camera numbers, positions and zoom capabilities as close what they were in 1948 as possible. And, yes, the Braves were wearing their uniforms from their years in Boston.